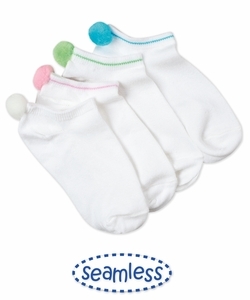 Adorable seamless toe pom pom peds by Jefferies Socks! Let these cute pom poms poke out of your shoe! *White/Turquoise show in picture is sold out.